A secret war is being fought all around us at all times. And no, I'm not in need of a tinfoil hat. This isn't some conspiracy like that. No! This type of conspiracy involves the Greek gods and Titans that are in a constant war all around us, hidden from our view under penalty of death! Ok, maybe I do need a tinfoil hat. 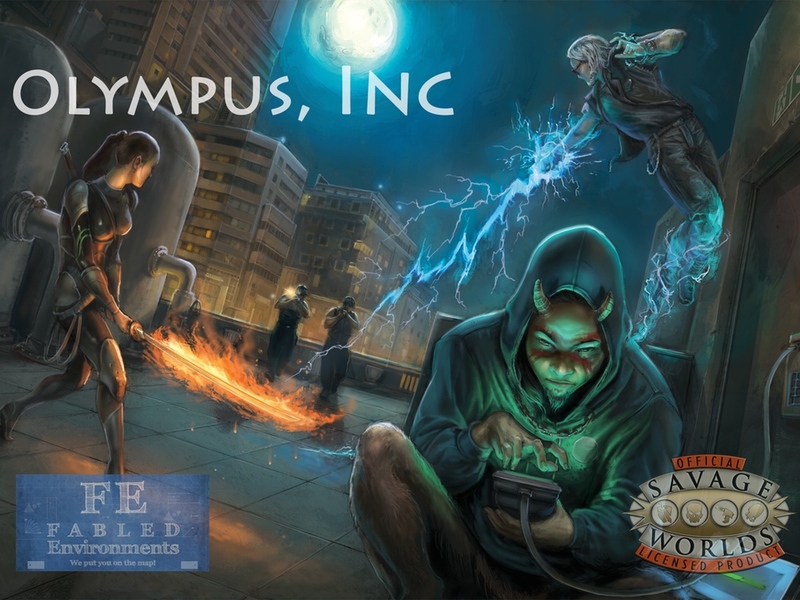 That is, unless the actions of Olympus Inc, a new urban fantasy sourcebook that's up on Kickstarter, are actually true. As I mentioned above, the setting is in the modern world. However, it's a world where the Greek gods and Titans were all really real. They've been expunged from their realms and sent to Earth. However, they must keep their appearances secret, unless they wish to have the Goddess Nemesis (who I'm pretty sure doesn't look like Bricktop, but you could make it the case if you wanted) come and deal with them. Of course, the Titans and gods don't get along, as they never have, and so they must wage their wars in secret, never letting the populace know what's going on. Fabled Environments is running a Kickstarter campaign in order to bring this Savage Worlds sourcebook to your tabletop.s The campaign is about half-funded with still 24 days left on the clock.